If your teeth aren’t as attractive as you would like because of discoloration, uneven spacing or have gaps, Lumineers may be right for you. Our experienced team at Crosspoint Family Dental offers veneers and Lumineers in our Lowell, MA office. Lumineers are highly translucent, look and feel entirely natural and are resistant to staining. Precise mold of your teeth to ensure that the Lumineers are created for a perfect fit. The shade of your tooth will be properly matched as well so it will blend with your natural teeth. Using your mold and shade, we fabricate your Lumineers. Once you visit us for your second appointment, they are painlessly attached. You leave with bright, new teeth! We can’t stress enough how easy the Lumineers process is. No painful shots or drilling is necessary and no tooth structure is removed. Since teeth are relatively unaltered, it’s reversible. Traditional veneers are not because of the removal of tooth enamel. 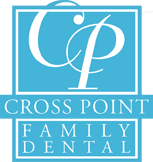 In just a few visits, Crosspoint Family Dental can improve your smile. Be sure to check out our Promotions & Payments page to see up-to-date information regarding current promotions, accepted payment methods and the insurances we accept. If you are looking to improve your smile with Lumineers, contact Crosspoint Family Dental in Lowell, MA today.